AvSoft Australia is the only source for a comprehensive Australian data set for your Dynon SkyView. 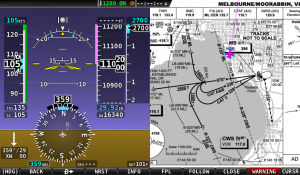 Raster charts (VFR and IFR), geo-referenced airport diagrams and approach procedures, complete Australian digital database and wireless flight plan transfer from AvPlan EFB. 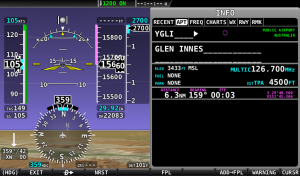 MegaVFR (WAC, VNC, VTC) and IFR Enroute charts for your Dynon SkyView. Updated every 6 months as per AirServices data cycle. Geo-referenced airport diagrams and approaches in your panel. Fly with confidence and enhanced situational awareness. Data is updated every 3 months. Transfer flight plans wirelessly into your Dynon SkyView. A single touch sends any flight plan saving you a great deal of time before you get airborne. 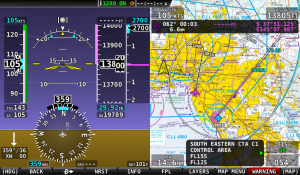 Additionally, your iPad can get GPS position and AHRS for AvPlan EFBs Synthetic Vision from your Dynon SkyView. 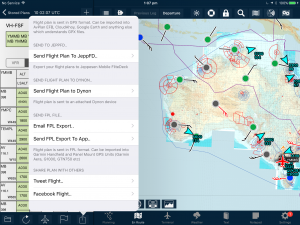 Comprehensive digital database, sourced directly from AirServices Australia, for your Dynon SkyView. Fly with confidence with a complete database of Australian airports, navigation aids, VFR and IFR waypoints, airspace, obstacles and ALAs.